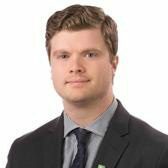 Dan Stimson is a registered Investment Advisor and has worked with TD Bank Group for over 9 years, and strives to provide exceptional customer service and advice to his clients. His previous experience in personal, small business, and agricultural banking, provides an ideal foundation for his work as an Investment Advisor and as part of Bennett Stimson Wealth Advisors, with Vice President, Portfolio Manager and Investment Advisor, David Bennett, CFA. Dan feels that attention to detail, organizational skills, and strong work ethic signify his appreciation and respect for his clients. He is effectively supported by a team of administration as well as by other TD Specialists for investment products, estate and tax whose teamwork and professionalism help build and sustain long term relationships with high net worth clients. Dan is a proud graduate from the University of Lethbridge, where he obtained a Bachelor of Management (Finance) degree with Great Distinction Honours. Dan believes that advisors owe their clients the commitment of continuous education to keep pace with a dynamic investment environment. Dan has completed several designations including his CIM® to further strengthen his knowledge and understanding of the investment landscape. Dan resides in Lethbridge and is happily married to Kelsey, who is a Chartered Accountant and Instructor at the University of Lethbridge in the Accounting department. Dan and Kelsey have three young children Owen, Emmy, and Luke. Away from business, he enjoys a healthy lifestyle of golfing, hockey, and spending quality time with his family and friends. Please feel free to give Dan a call to learn more about the Wealth Management solutions offered at TD Wealth Private Investment Advice. Bennett Stimson Wealth Advisors is a part of TD Wealth Private Investment Advice, a division of TD Waterhouse Canada Inc. which is a subsidiary of The Toronto-Dominion Bank.